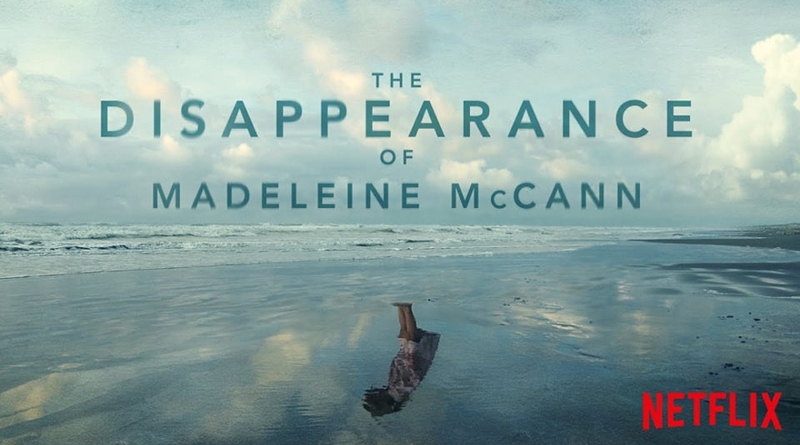 On Friday March 15th Netflix, the online streaming service which is transforming the way we watch TV, made available its 8 part series on the disappearance of Madeleine McCann. When 3 year old “Maddie” tragically disappeared whilst on holiday in Portugal in May 2007, it became the news story of the year and the Netflix documentary series attempts to engage the viewer – through a series of interviews, archive film and dramatised reconstructions – with the complexities of the case which, of course, has seen no closure. Both critics were also mindful of the fact that the series was another example of the continuing fascination with true crime dramas. As Rhik Sammader wrote, some of these series such as the Podcast Serial and Netflix’s original true crime drama, Making A Murderer may be examples of public interest journalism at its best, but do audiences really care about any of that? The disappearance of Madeleine McCann certainly captured the nation’s attention back in 2007. The nature and scale of the reporting was unprecedented. Madeleine’s disappearance (and the speculation around the circumstances of it) meant that the story occupied airtime and newsprint on a level not seen since the death of Princess Diana in 1997. The intensity and frequency of reporting and speculation was staggering. In September 2007, the Daily Express and Sunday Express combined had ‘Maddie’ as lead front page story with picture 23 times. And, in fact, there was no day throughout that month when the front pages did not contain some sort of reference to Madeleine or her parents, Kate and Gerry. But why does the Madeleine McCann affair still command interest in a Europe where, according to recent research 250,000 children (1 child every 2 minutes) are reported missing every year? The decision taken by the McCann family to keep their daughter in the public eye is clearly significant. From the beginning they utilised a highly sophisticated PR campaign to make sure that Madeleine was not forgotten. Gerry McCann started the website which became Find Madeleine and there was the YouTube channel ‘don’t you forget about me’. There have been books, television shows and other documentaries. We must also remember that people identify with this case because throughout cultural histories missing children have represented that worst that can happen to adults. All parents can point to this case and shudder. It has become a sort of national collective worst experience scenario. As the Netflix series evidences, these very real events have become a sort of virtual murder mystery. It can be argued that since Madeleine’s vanishing all the factors of a modern mystery are in place and being played out under the glare of the world’s media – the fact that we have no answers itself encourages speculation. And in today’s cyber world we have another element at work. The internet has provided the space where people can debate the facets of the case and speculate on the speculation. Moreover, the press encouraged, via comment threads, a form of participatory journalism where members of the public can respond to particular reports. I shudder to think at some of the accusations levelled at the McCann family that I’ve read over the years. We can ask ourselves whether our fascination with Madeleine is a product of the celebrity culture where we are routinely fixated with the fate of individuals we don’t know and never will. Is it a further example of the Diana syndrome where there is a mass transference of public empathy on to individuals we don’t know, made all the more striking by our increasing alienation from each other in a physical sense? Is our fascination an example of a kind of collective bias in favour of the middle classes? It is a fact that scores of children disappear every year yet not one has received a fraction of the attention given to Madeleine who comes from a family of wealthy, white, photogenic doctors. The fact that the Madeleine mystery – and I use my words carefully – began abroad in less affluent, less prosperous Portugal may also be significant in why we’re so interested. This is because (in a sense) we as nation can absolve ourselves from responsibility. Despite evidence to the contrary in terms of crimes committed against children in Britain we can tell ourselves that this is crime that happened because the family was abroad. So in a sense we and the McCann family become one representing Britain against foreign incompetence and foreign dangers. And this highlighting of foreign incompetence has been a feature of the coverage. There has been a none too subtle superiority complex in the way the British media has treated perceived Portuguese police inadequacies. But to this day, the fact that Madeleine has disappeared is the only relevant fact of this terrible affair. In all the interviews, insights and reconstructions of the Disappearance of Madeleine McCann the only thing that matters is that she has never been found.